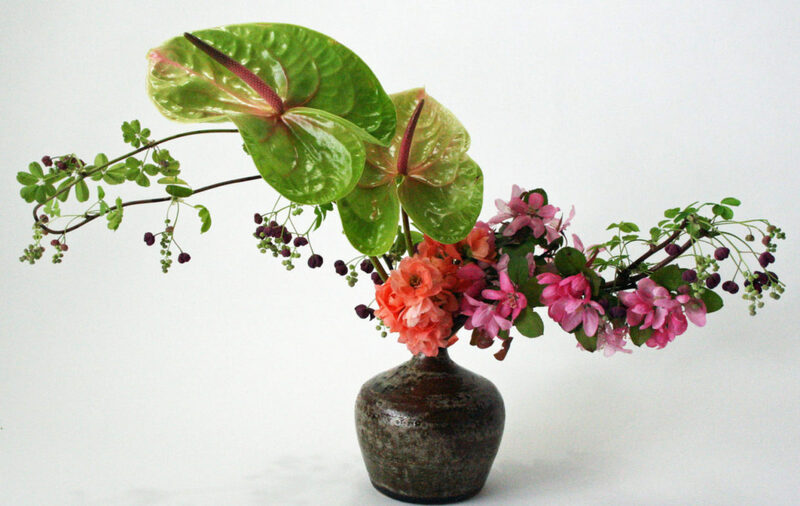 Tonight I went to my Sogetsu ikebana class to take a lesson. 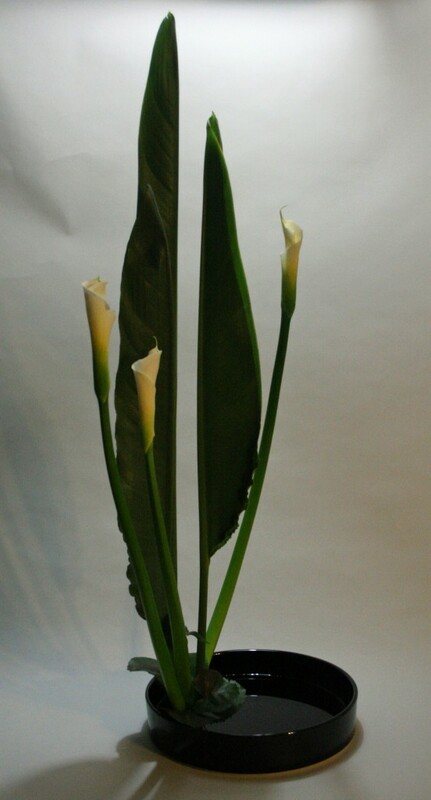 We were given calla liles, strelitzia leaves and galax to work with and asked to choose a lesson that would suit the materials. We chose to do “vertical composition”. After class I brought the materials home and remade it to photograph, not easy considering how tall it is. I do need more space for larger arrangements! Now I am dreaming of a big space to work and lots of time and money to do it. It never hurts to put that dream out into the universe. It is really beautiful, i love how the strelitzia leaves are paralleled with each other. Whilst the liles seem to be holding the leaves and draw your eye up the whole piece. One of my favourites!